In their eponymous book on debt crises, noted economists Carmen Reinhart and Kenneth Rogoff remarked that the most dangerous words in any language are: “This time is different.” The next most dangerous words, according to Dr Raghuram Rajan, arguably one of the best economists of this generation, are: “Next time will be different”. In the light of recent events, nothing quite sums up the Indian financial sector as this sentiment. In October, the government of India superseded the board of the beleaguered Infrastructure Leasing & Financial Services (IL&FS) and appointed a fresh board of directors. This followed a series of high-profile events ever since Life Insurance Corporation was summoned to “take charge” of IL&FS. The IL&FS mess however, has been long in the making. A private sector entity with significant public sector investment, it has managed to escape oversight of a single sector regulator because of its structure. This is despite the fact that IL&FS was designated as a systemically important non-banking financial company (NBFC) by the Reserve Bank of India. 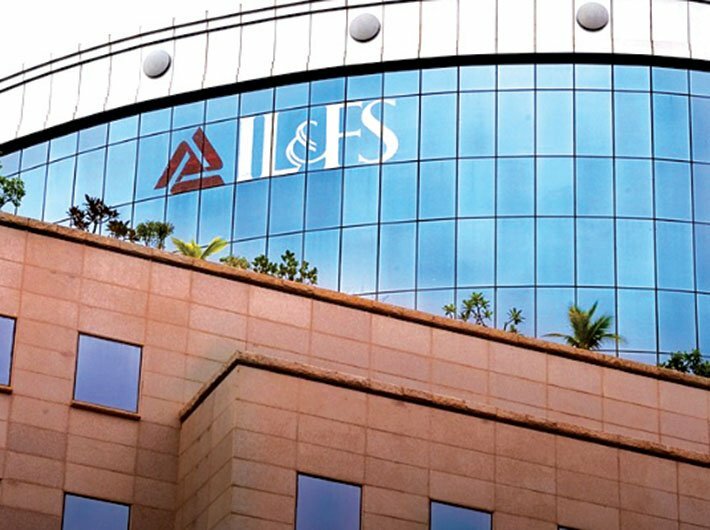 LIC’s taking over the reins of IL&FS came shortly after its acquisition of a 51% equity share in the troubled IDBI Bank, which was way above the existing regulatory threshold of 15% that could be acquired by an insurance company in one single company. The insurance regulator IRDA swiftly made an exception to allow LIC to acquire the required share in IL&FS. The necessary resources in both instances will come out of policyholders’ funds or rather public money, making them nothing but ill-disguised government bailouts for IL&FS and IDBI Bank. This follows a recurring pattern of the tax-paying public being forced to bear the brunt of the mess created by errant banks and other financial institutions. Historically euphemised as “mandatory mergers”, such deals are a recurring trend in the Indian financial sector. RBI data reveals that a majority of the bank mergers from 1969 (the landmark year of bank nationalisation) till date have been by way of a government scheme where healthy transferee banks have assumed the full cost of the failed transferor bank. This repeated reliance on government bailouts (direct or indirect) creates a situation of immense moral hazard in the economy. Further, from the perspective of the acquiring entity, it is tantamount to throwing good money after bad, and their balance sheet often takes a severe hit. In the longer run, this is often an easy cop-out to genuinely confronting the problems plaguing the failed financial institutions, setting yet again, a poor precedent. The IL&FS deal, in particular, has blown up into a problem of gargantuan proportions. Already crippled by humungous bad debts, questionable business practices, and a convoluted structure, by September 2018, it started defaulting on its payment obligations, triggering a downgrade in its credit ratings, finally leading to the government stepping in to replace the board of directors. According to Uday Kotak, member of the new board, the situation came perilously close to India’s “Lehman moment”. This serves as an ominous reminder of the increasingly interconnected nature of financial markets, and the deep impacts shakeups in one sector can have on the entire economy. This begs the question whether there are other viable and workable exit routes for distressed financial institutions other than messy government bailouts. One of the most far-reaching consequences of the 2008 financial crisis was the understanding that the one-size-fits-all formula simply does not work when it comes to insolvency proceedings, leading to a renewed focus on exploring alternatives to dealing with, or resolving, distressed financial institutions. The philosophy which has been largely accepted is that financial firms ¬do fail, and distressed financial firms should be allowed to fail in an orderly manner. There has also been a push for greater accountability and transparency, especially for systemically important financial institutions. Since then, a lot of regulatory attention has been focused on containing the possible spill-offs of future financial crises. International bodies such as the Financial Stability Board (FSB) which was set up after the G-20 summit in 2009 provided the guidance for this shift. In 2011, FSB published the ‘Key Attributes of Effective Resolution Regimes for Financial Institutions’, which has served as the basis of several overhauls of resolution systems across the world, including the Dodd Frank Act and related regulations in the US, and in Hong Kong and Singapore in Asia. These reforms were based on the understanding that from time to time, financial institutions will fail and the necessity of adequate ex ante preparation for such eventualities. A review carried out in 2016 revealed that India complied with only four out of the 12 Key Attributes. In order to fill this gap, the Financial Resolution and Deposit Insurance (FRDI) bill was introduced in the Indian parliament in the monsoon session of 2017, only to be withdrawn scarcely a year later. A major reason for the debacle of the FRDI bill withdrawal is believed to be the much maligned and equally misunderstood ‘bail-in’ clause, which allows the conversion of debt into equity in some specific situations. This provision has been made out to be a draconian measure which will allow the government to resort to bank deposits to save failing banks. In reality, a host of checks and balances (including an explicit exception for bank depositors’ money) ensure that bank deposits simply cannot be used at the whim and fancy of the government to bail out failed financial institutions. It is also pertinent to note that this was not the first instance of highlighting the need for such a law in India. Resolution as a function separate from regulation was recognised way back in the India Financial Code 2015 which itself was based on the report of the Financial Sector Legislative Reform Committee in 2013. The Report of the Committee on Financial Sector Reforms (also known as the Raghuram Rajan report), in 2009, the Report of the Working Group on Resolution Regime for Financial Institutions (RBI, January 2014), and the Report of the Bankruptcy Law Reforms Committee in 2014 have all unequivocally called for a separate resolution law in India. The current regulatory mechanism in India is ill-equipped to deal with a large-scale financial disaster. Laws to deal with distressed financial entities are spread across a number of laws, and are not uniform for different types of financial entities such as banks, insurance companies and NBFCs. 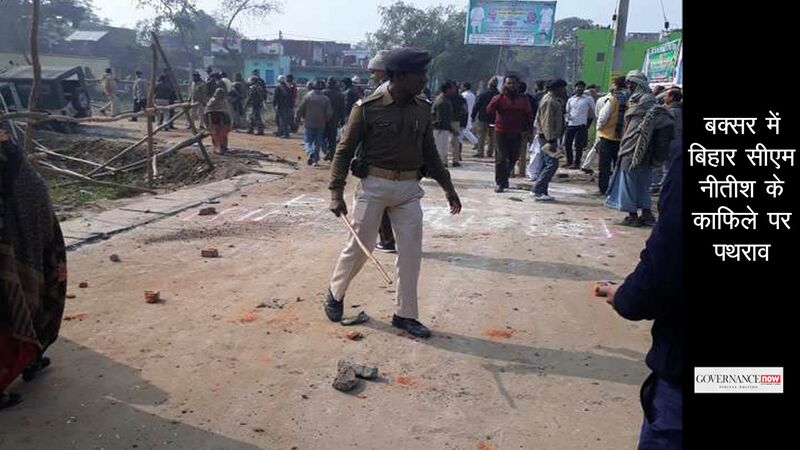 Lack of an independent specialised body for resolution often leads to situations of turf wars among the various existing regulators or worse, a delay in any measures being taken or regulatory forbearance. This can also be categorised as ‘disaster myopia’ or the tendency of agents to underestimate the probability of adverse outcomes. The situation is all the more tricky when it comes to entities which do not follow a clear regulatory structure and can ostensibly come under the tutelage of two or more different financial sector regulators. The curious case of IL&FS is a classic example, which conveniently fell within the gaps of regulatory supervision. The FRDI bill as introduced in parliament would have extended, among others, to all banks (including certain cooperative banks), insurance companies, systemically important financial institutions, financial market infrastructures, and certain classes of deposit-taking NBFCs. In conjunction with the Insolvency and Bankruptcy Code, 2016 (which applies to corporations and individuals), the FRDI bill was meant to provide a comprehensive insolvency framework in India. In the post-2008 world, it is widely accepted that the traditional methods of insolvency are severely inadequate when it comes to dealing with the failure of financial institutions, especially large and complex ones. The FRDI bill was an affirmation of this philosophy. Moving away from the extensive reliance on bailouts via taxpayers’ money, it offered a number of modern, forward thinking recourses to the traditional methods of insolvency. It also relies extensively on continuous supervision, contingency planning, and tasks an independent expert body with dealing with the distressed financial entity. All of these factors would have allowed the resolution authority to choose the best possible method of resolution in a case-to-case basis and have recourse to the necessary tools in order to create optimum value for all stakeholders involved. The bill also provided for a clear delineation of powers between the regulators and the resolution authority, ensuring that all non-conflicting powers of the regulators (including RBI’s PCA framework and consumer protection powers) stay in force till the penultimate stage of failure of the financial institution. As long as the financial institution would be in good health, the resolution authority played no role, save minimal supervisory information collection. In the longer run, the bill aimed to create a more stable and resilient financial system in India. The latest RBI Financial Stability Report, published in June 2018, points to the continuous rise of NPAs and the fall of governance standards a major concern. Weak profitability for banks, which is another issue that has been flagged can severely reduce cushion for adverse shocks. Significantly, the report specifically mentions the shortcomings of financial crisis management and a resolution mechanism for systemically important financial institutions, and suggests that a prevention mechanism can arrest the deterioration of a financial institution significantly. Financial institutions are not just the repositories of consumers’ money, but also of their trust. They have several characteristics which put them on a different footing from non-financial entities like companies and partnership firms. While some financial institutions like banks, insurance companies and pension funds deal with sensitive consumer deposits, others like stock exchanges and clearing corporations are intrinsic to financial markets. Further, because of the increasingly interconnected nature of the modern financial system, a failure in any one sector tends to have a domino effect, which can potentially rattle the entire economy. Had the FRDI bill been passed or a comprehensive mechanism for dealing with the failure of financial institutions existed, the current situation could have been dealt with in a much more elegant fashion. And while the IL&FS fiasco has become emblematic of the many woes of the Indian financial sector, it is only the tip of the iceberg. As many as 11 of the 22 public sector banks are currently under RBI’s prompt corrective action (PCA) framework. 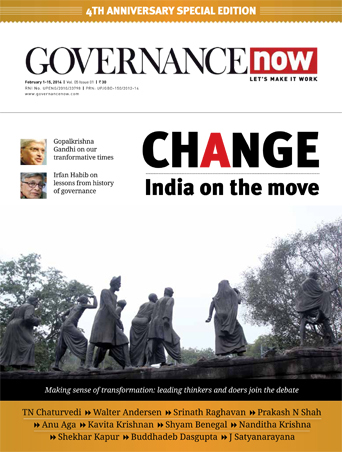 While the FRDI bill is by no means a magic solution to the financial sector’s woes, by its focus on continuous supervision, a clear concerted effort on the part of the regulators and the resolution authority, it certainly was an attempt to tackle the very factors which have been responsible for the mess in the first place. A Systemic Risk Survey carried out by RBI from April to May 2018 to capture the perception of various experts (including market participants, financial intermediaries, academics, and rating agencies) on the major risks facing the financial system has flagged several telling issues. The likelihood of the occurrence of a high impact event in the global financial system and Indian financial system in the short term was found to be ‘medium’. The respondents in the survey also expressed a significant decline in their confidence in the stability of the global financial system. The risk from rising commodity (including crude oil) prices was identified as ‘high’ and the risk from political uncertainty/policy implementation at ‘medium’ (a move from ‘low’ in the previous survey). Factors like the rise of shadow banking and inadequate regulation and unregulated parts of the economy have been quoted as possible reasons for the next financial crisis. In this context, it should also be borne in mind that IL&FS’s shadow banking activities have been one of the major reasons behind its dramatic failure, turning the focus on many such NBFCs and housing finance companies (HFCs) in India. NBFCs have failed in India with an alarming frequency, jeopardising the earnings of many ordinary citizens. As recently as February 2018, the finance ministry released a list of more than 9,000 high-risk NBFCs. In the wake of the IL&FS debacle, there has been a flurry of NBFC licence cancellation by the government. The irony of the withdrawal of a law which is geared towards dealing with potential financial crises, in a year which marks the 10-year anniversary of the global financial crash, should not be missed. The timing of the withdrawal of the FRDI bill (uneasily close to the 2019 general elections) is no co-incidence. Financial policies of course are no stranger to partisan politics. Following one of his most prominent campaign promises, Donald Trump has initiated the rolling-back of much of the Obama-era Dodd Frank regulations, which were famously put in place after the 2008 crash and aimed to introduce sweeping reforms in the governance and oversight of the interconnected financial sector. This (mis)step is not only a leap backwards, it is also likely to leave the Indian financial system vulnerable in the face of potential financial crises. Ultimately, the harm caused by these stop-gap measures will far outweigh the short-term political and populist advantages gained by it.